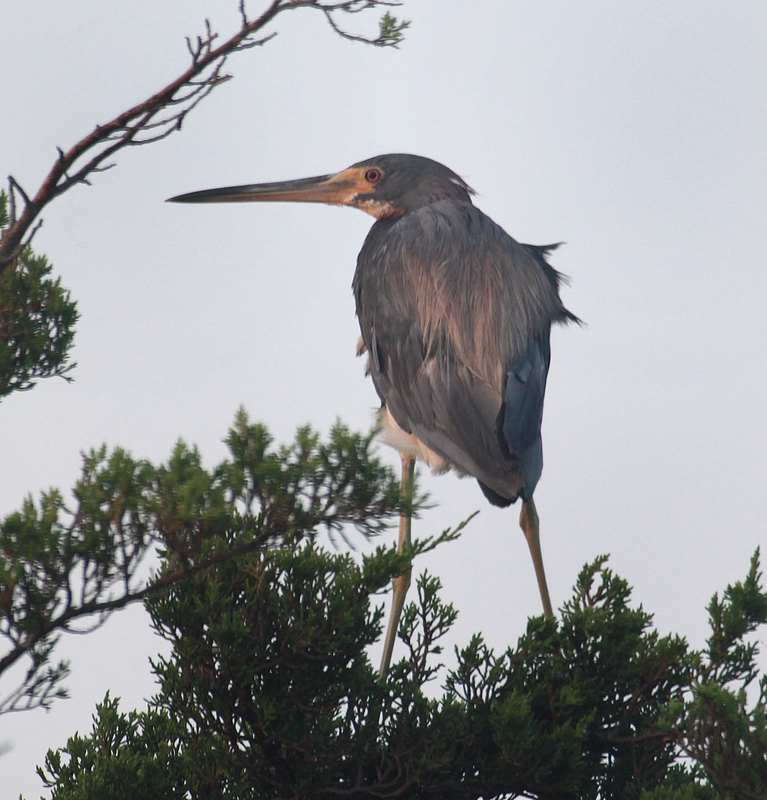 A tri-colored heron at Assateauge Island National Seashore, Maryland, summer 2018. 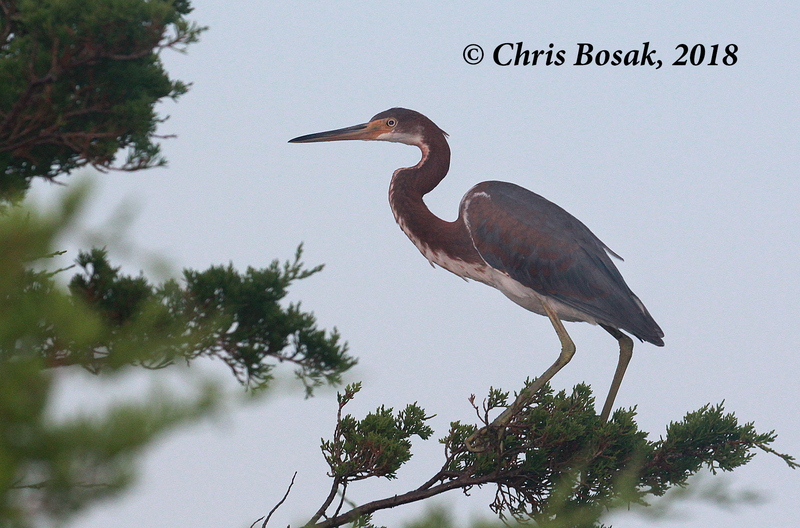 The other day I posted a few shots of a brave green heron I found at Assateague Island National Seashore in Maryland. Here are a few more shots from that trip. Coming soon: Shots of the wild ponies at Assateague. 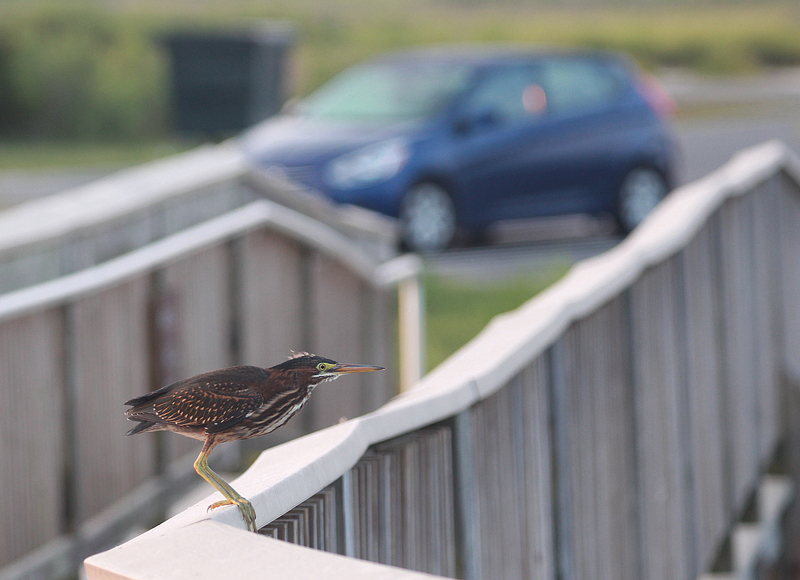 A green heron on a railing of a walkway at Assateague Island, Maryland. Yes, that’s my car in the background. Couldn’t resist getting a shot of the bird with the car in it, too. 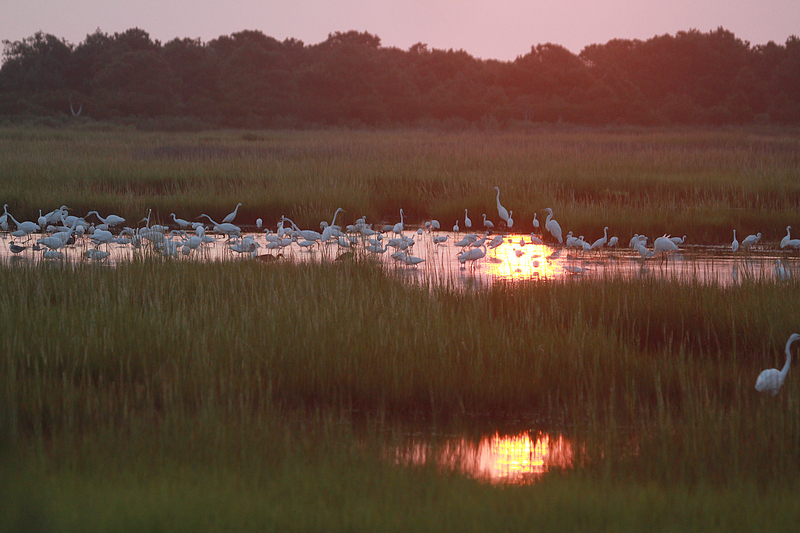 Waders gather at a pool of water in the marshlands of Assateague Island National Seashore in Maryland, summer 2018. This entry was posted in Waders and tagged birds at Assateague Island, Green Heron, tri-colored heron, Waders by Chris Bosak. Bookmark the permalink.